Did you know you can normally customize a modular floor plan just like you can a site-built floor plan? 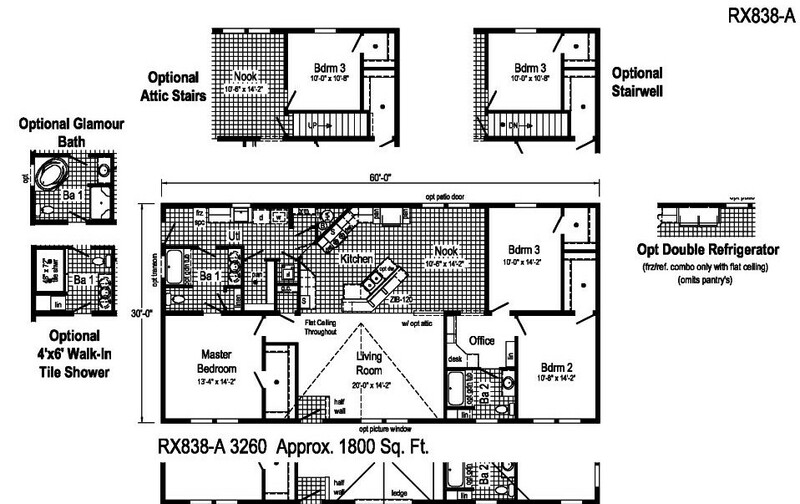 Maybe you like a specific floor plan but would prefer larger rooms. No problem! With modular homes, you can stretch the size to give you the space you need. Maybe you love the layout but wish it was reversed. Again, this is an option. Take the Mulberry II for instance, one of our more popular selling floor plans. Our sales representatives have already assisted multiple customers just like you through the customization process. 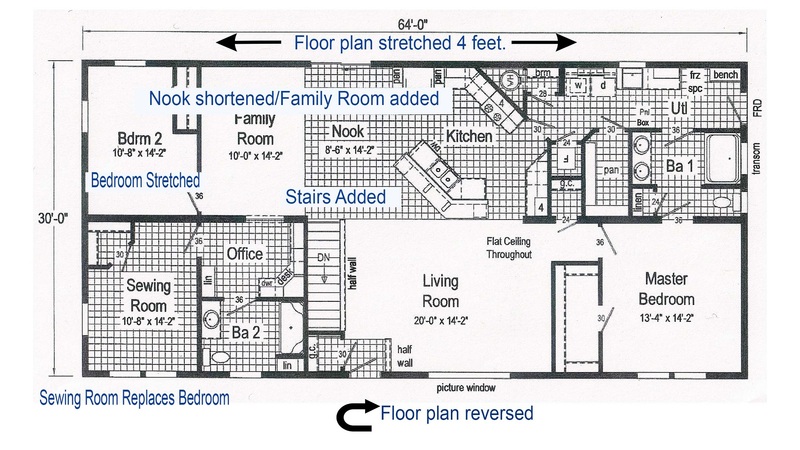 Below are just a few examples of ways this particular floor plan has been modified. The Mulberry II is a three-bedroom, two bath, 1,800 square feet ranch style home available through D&W Homes. Built-in options include upgrades to the bathroom and refrigerator, as well as the addition of both basement and attic stairs. The Fultons stretched the floor plan from 60 feet wide to 72 feet wide to add more space to the width of the living room and master bedroom. A family room was also added in between the bedroom and the nook. 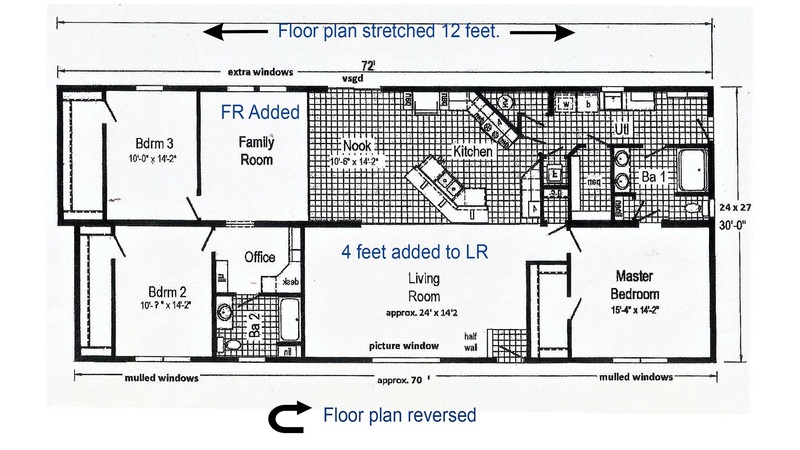 In addition, the floor plan was flipped. 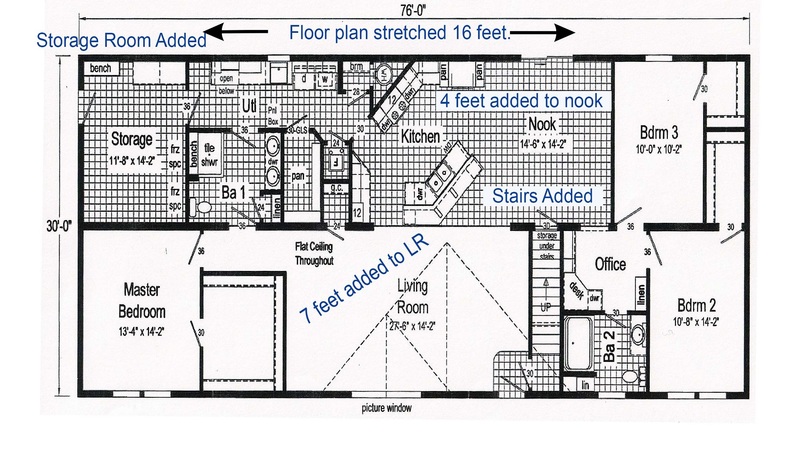 The Kirbys stretched the floor plan from 60 feet wide to 76 feet wide to add more space to the living room and the nook. A storage room was added to the home, as well as stairs to the attic. The Richardsons stretched the floor plan from 60 feet to 64 feet and the floor plan was reversed. The third bedroom was converted to a sewing room and the nook was shortened. A family room was added and more space was added to the second bedroom. Basement stairs were also added. 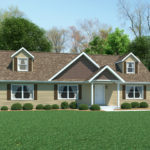 As you can see by just these plans, the possibilities are nearly endless with the customization of modular floor plans. The beauty is, the standard floor plans just help cut down on the time it takes for you to search for your perfect home. Instead of starting from scratch, you can find the floor plan that closely fits your needs and wants and then work with your sales representative to discuss customization options. 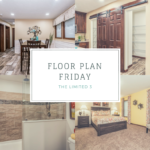 Ready to look at floor plans? Visit the floor plan search tool on our website. Ready to talk to a representative? Reach out to one of our three model centers in Jackson and Chillicothe, Ohio and Henderson, West Virginia. You can also walk through a version of this model at each of our Model Centers.